time Mondays to Fridays from 10am until 8pm. No Saturday and/or Sunday lesson's! Once/twice a week by appointment and as available. 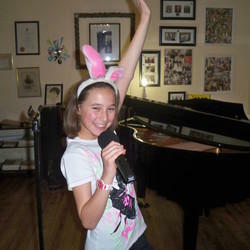 An experienced singer, piano teacher and vocal coach who will teach your child all of these skills. Tatjana Grabow was born into a musical family - both of her parents were opera singers. They exposed her to music and therefore her ear was trained from an early age. Tatjana's voice was classically trained by her mother, Carla Pohl, as well as Ms Alma Oosthuizen, and she participated in workshops with Ms Mimi Coertzee and Mr Herman Le Roux. HDE-Degree(specialising in Music) with WITS. Tatjana has been a SACE-(South African Council for Educators) member since 07/Nov/2000. Tatjana has been studying a psychology degree with UNISA and therefore believes her understanding and appreciation for individuals has developed even further. Tatjana believes each individual is unique and needs their own personal approach. Currently Tatjana teaches from home in her Music Studio. Her pupils get the chance to participate in 2 yearly concerts to show off their glorious talents. 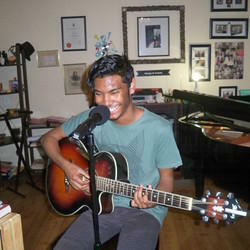 They also get the opportunity to shine in open mic concert evenings. Tatjana also finds great pleasure in singing at corporate functions and would love to share her musical abilities with anyone who wants to learn more about music. 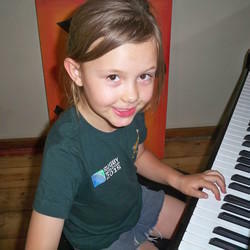 Tatjana will assist your child in building up confidence, realising their talent and singing/piano techniques in general. She believes that breathing is the absolute foundation to singing and works with her pupils on breathing/diaphragm and vocal exercises. Stage performance and microphone techniques along with Diction/pronounciation exercises are equally important. 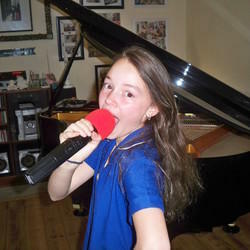 In addition,her pupils get the opportunity to learn to sing in any genre and to expand their vocal range. Piano/keyboard classes evolve around: theory, ear training, Technical exercises and learning to sight-read. Tatjana will choose theory and piano lesson books for her pupils appropriate to their age group and either for beginners, intermediate or advanced pupils. Tatjana is fluent in all these languages. Tatjana also specialises in performing singing evaluation classes to assess the musical vocal abilities of a new learner. For more information regarding these assessments please contact Tatjana directly. Furthermore, Tatjana assists learners in preparing for an important audition. Learner's would get the opportunity to attend masterclasses for the duration of 2 hours long at a time to prepare them for an audition. For more information contact Tatjana directly. My daughter takes singing and piano with Tatjana. It is such an important part of her development. As an adopted child, she has been through such a lot in life and music lessons with Tatjana have given my child a great sense of self confidence. She comes back from her lesson with her eyes shining, and singing her latest song. She will probably never be a professional musician but Tatjana is instilling in her a deep love of music. 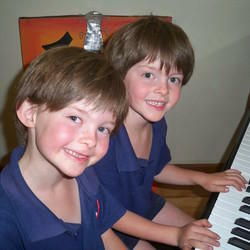 Tatjana's music studio is a wonderfully creative and happy learning environment. Through Tatjana's love of music, my own daughters have come to truly appreciate the joy of creating music. Best of all is Tatjana's ability to adapt lessons to individual children to allow the full expression of their potential. Tatjana is an extraordinary teacher and musician. Tatjana is a gifted and incredibly talented teacher who makes lessons entertaining, varied and engaging. Bridget LOVES going to her lessons and we have been amazed at how she has grown in confidence and capability. I can't recommend her enough! Tatjana has a gentle way with children. She provides a stress free environment in which young minds can easily learn. Tatjana is an amazing teacher and is especially teaching children. 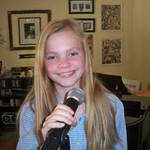 My daughter has grown so much with her as her voice teacher. I highly recommend her. My 14 year old has really enjoyed five years with Tatjana. She has learned the correct way to use her voice and has grown in confidence. Tatjana has a wonderful way with children of all ages but she also has solid voice and music training skills.